Why settle for only 7 channels when you can have a superior system with 8 channels, for less? 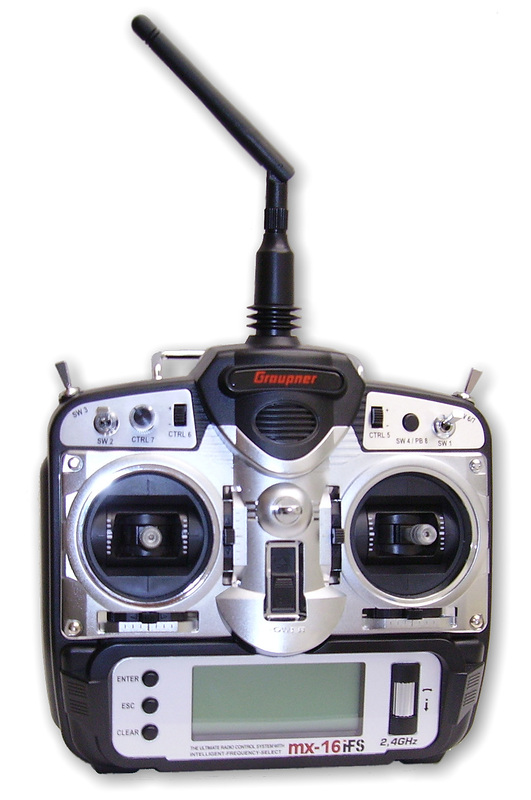 This computer radio control system features twelve model memories, the most advanced (yet simple to use) programming technology, a high-contrast graphic LCD screen, removable antenna, stylish case, rotary function wheel, buttons and knobs for all popular control functions, and more! 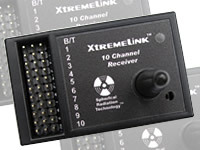 Fully compatible with ALL existing XtremeLink and iFS receivers. System comes with the MX-16 transmitter, rechargeable transmitter battery, and stick mode conversion kit (no receiver, servos, charger, or receiver battery pack). Retail price is $299! Microcomputer radio control system. High speed microprocessor using the latest 2.4GHz RF technology created by Xtreme Power Systems. responds. Telemetry support also possible with bi-directional communications. Ultra-fast transmission rate. 250Kbps over-air data rate gives the fastest possible response. Rejects interference. Completely immune to EMI and other electrical noise caused by electric motors, servos and metal-to-metal contact. Stubby antenna. Folding and removable allows for easy storage, and prevents broken antennas. 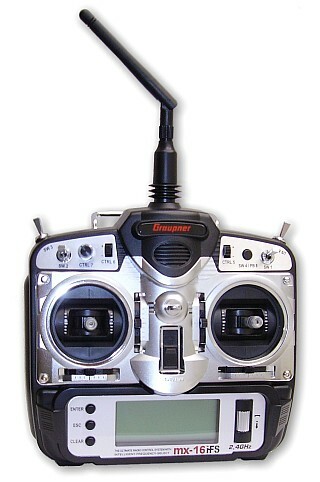 successful Graupner MC-19 to MC-24 radios used by the top European pilots. Multiple model types. Airplane, helicopter, sailplane. Each with multiple servo configurations. High-contrast graphic LCD screen. Large and easy to read, the display insures perfect monitoring of set-up parameters, operational states, and timers. Eight control functions. 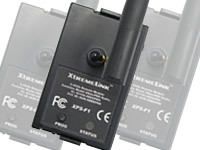 With simplified method of assigning transmitter controls to auxiliary functions. Free assignment of all switches and knobs. Simply move the desired switch to assign it a new function! Twelve model memories. Using the latest form of back-up memory which requires no Lithium battery. Multiple controls. One three-position switch, one momentary button, one analogue control, two digital controls installed as standard. All individually programmable. Function encoder. Rotary roller and three momentary buttons for simplified programming and accurate set-up. Multiple stick mode support. Easily switch between stick modes 1 - 4. Graphic servo display. Detailed display provides a fast, simple overview for checking servo travels. Comprehensive fixed-wing and helicopter menus. Fast setup with a simple overview for checking servo travels. Servo travel adjustment. Adjustments for all servo channels, separately variable for each end-point. Sub-trim. Designed for setting the neutral position of all servos. Programmable Fail-Safe function. HOLD or USER DEFINED, individually variable for each separate servo channel. Stopwatch / count-down timer. Each with alarm function. Model copy/delete function. Easily manage model memories. Want to see the advanced features? Download the current manual by CLICKING HERE.